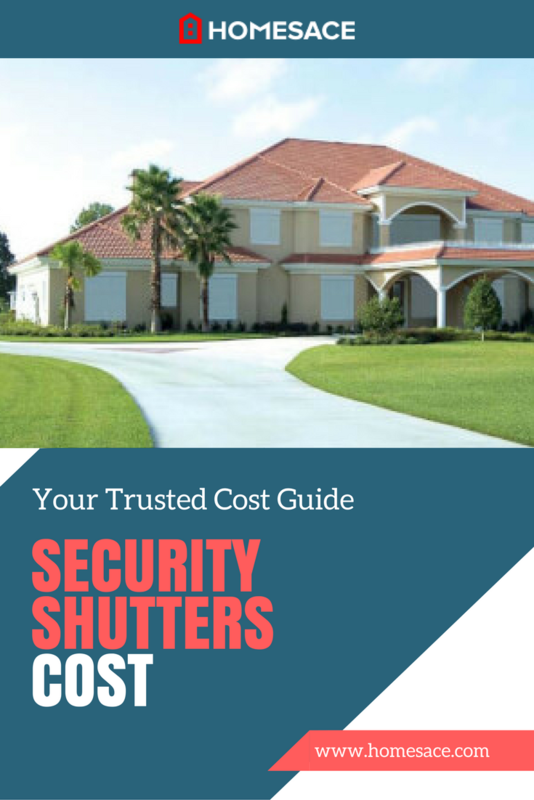 How Much Do Security Shutters Cost? If you are considering your options when it comes to security and protection for your home, security shutters might be a great fit for you. Depending on your specific needs and intended use, there are plenty of options to choose from that will suit your needs. Of course, there are some things you should keep in mind when deciding on materials and other project related issues which can ultimately affect your bottom line. It is generally recommended that you get more than one professional estimate on the cost to install your security shutters before your commit to any contract or start your project. This can not only give you an idea of your current regional pricing trends, but also give you an idea of which services are typically standard with contractors in your area. In addition, this is a great way to get a personal feel for which contractor will be the best fit for you and your installation project. How Much Will It Cost To Install Security Shutters? On average, you can expect to pay anywhere from $300, on the lower end, for basic materials and little to no added features to as much as $500 or more for a higher quality material and additional features. There are a number of factors that can cause your final cost to be higher, so it's important to hire a professional who has the experience to keep your costs reasonable and handle any unexpected issues that may arise during your installation project. Additional repairs needed to window foundations in order to support the security shutters. Remote or mechanically controlled units. Quality and type of materials used.. While the initial installation costs can sometimes make homeowners reluctant, security shutters can actually help you to save money over time. Not only can they add to the value of your home, they can help you to better control your heating and cooling costs over time. How Can I Find A Security Shutter Professional In My Area? By simply entering your zip code on this page, you can be connected with local professionals who specialize in security shutter installation. Of course, this estimate is absolutely 100% FREE and comes with no obligation or hidden costs to you whatsoever. So, feel free to enter your zip code in the space provided now to take advantage of your no cost, no-obligation estimate for the cost to install security shutters in your home or office.